being feminine, squares and rectangles masculine. In "The Tree of Life,"
elements. But the anti-Eve has neither, only triangles. > Thank you Brendan--I hope to use this when I teach PL 4/5 next week. > might crudely be referred to as the double-consciousness of Eve. > as she is now both *with* Adam and *below* him, both there and not. > those "imparadis't in each other's arms." > Oh Hell, what do mine eyes in grief behold! >> Weirdly, her left hand appears unfinished. >>> emotional subjection that Adam confesses and Raphael warns against. 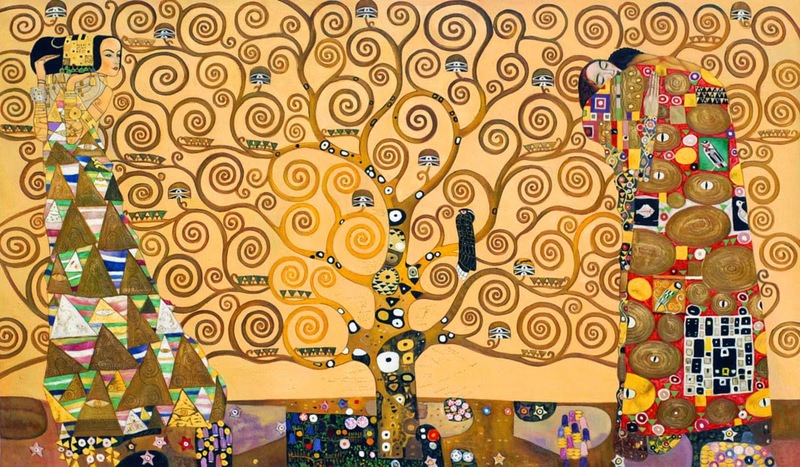 >>> I don't recall any other blondes in the Klimt oeuvre.